Cheese and honey is Europe’s sweetest simplicity at its finest. Try Catalonia’s version with a mild fresh goat cheese. 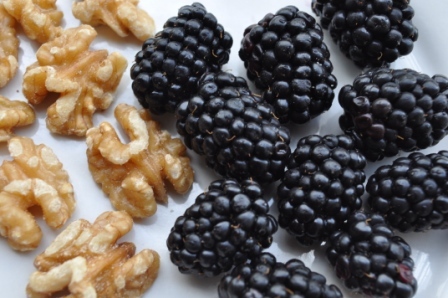 Goat Cheese with Honey, Blackberries and Walnuts is the light delight that ends a meal. 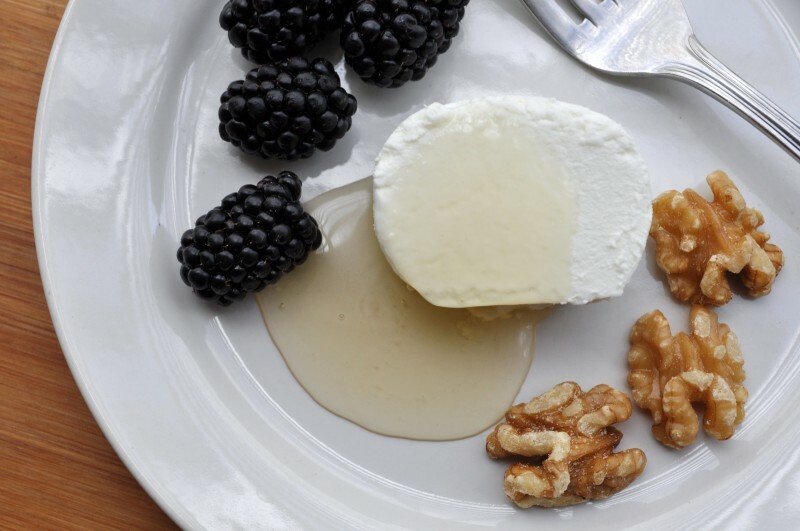 The creaminess of goat cheese coupled with smooth honey along with a burst of blackberries and a crunch of walnuts is a delectable combination on one plate. 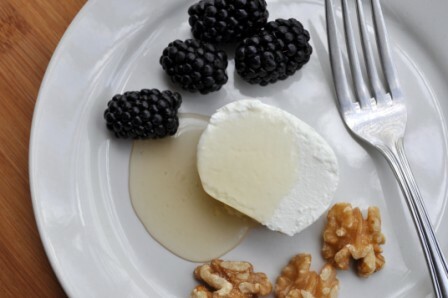 Goat Cheese with Honey, Blackberries and Walnuts can be prepared in minutes and its sweetness can be savored in multiple bites. 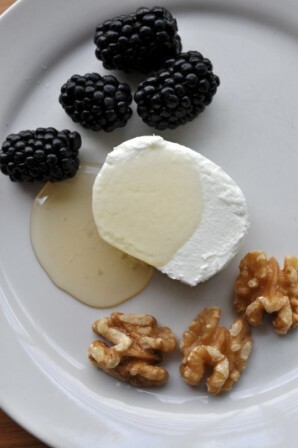 Goat Cheese with Sage Honey, Fresh Blackberries and Walnuts. Enjoy! 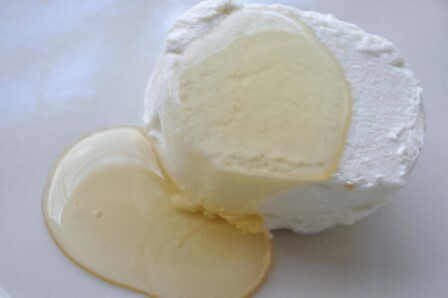 Slice the goat cheese log into 6 rounds with a thin sharp knife (or cheese wire, if you have one). Place each round onto 6 small plates. Top each round with a generous teaspoonful of honey. Arrange 3-4 walnuts on one side of each plate around the goat cheese. Place 4-5 blackberries on the other side of each plate around the goat cheese. Serve and enjoy! Notes. If sage honey is not available, try another artisanal honey such as lavender, eucaplytus or wildflower. And to accommodate those with nut allergies, skip the walnuts. The creamy goat cheese and burst of blackberries are still a great combination. The Cocoa Lover’s Movie Snack.